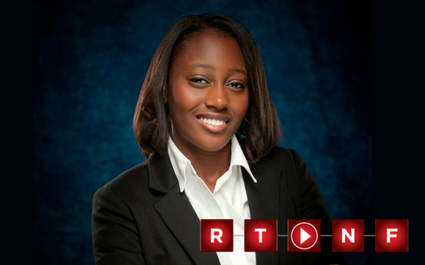 "Receiving the Carole Simpson Scholarship from the Radio Television Digital News Foundation means everything to me. I would like to thank RTDNF and Carol Simpson. I'm so proud to have received such a prestigious award from such an amazing company. Carole Simpson is one of my role models, for the simple fact that she has completed so many firsts as not only a woman, but an African-American woman. She represents something so powerful and I cannot wait to continue my journey and embrace that power to become a great journalist as well."